!! 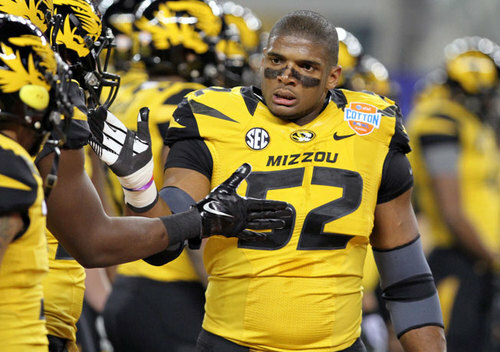 OMG, congratulations: Missouri defensive linesman Michael Sam comes out in advance of 2014 NFL Draft !! Michael Sam, a guy who plays sports n’ stuff — professionally — came out this week to his entire team, and then the entire world! Congratulations to Michael! A very brave thing for him to do, considering his circumstances and his industry, and it’s really good for the gays. I mean, we could always use another tight end or wide receiver, but a defensive linesman will just have to do! Check out Michael’s interview with the NYT below! Be the first to comment on "OMG, congratulations: Missouri defensive linesman Michael Sam comes out in advance of 2014 NFL Draft"